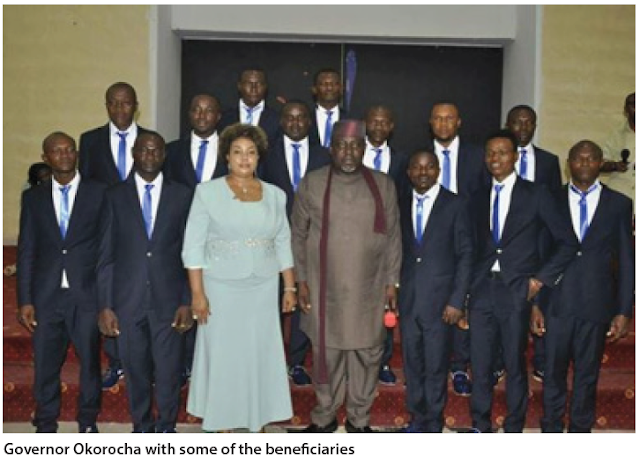 Governor Rochas Okorocha of Imo State has empowered 305 youths from the 305 wards across the 27 local government areas of the state with the sum of One Million Naira (N1 million) each, instantly transforming them into millionaires. 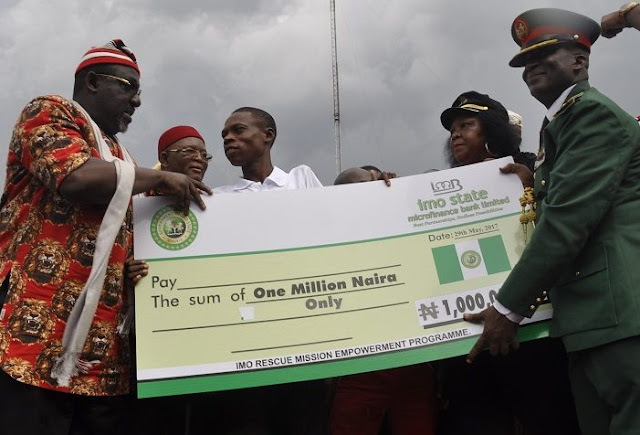 According to him, the ‘One Million Naira’ largesse was to encourage the youths to suc­ceed and begin to contribute to the progress and prosperity of the state and the country. He assured the beneficiaries of his assistance towards making sure that they prosper in their business endeavors. “We have employed ten young graduates from each of the 305 wards totaling 3050. We have empowered ten women in each of the wards with N100,000 also totaling N305million. And today, we have given One Million Naira each to 305 youths. Those in school are enjoying our free education programme. We are determined to give poverty a deadly blow in the state”. Shameless politicians. .those in school are enjoying free education as if you are paying from your pocket and given 10 women 100.000 Naira to do what? How much do you give to Runs girls you mingle with? Who can tell me the difference between a scammer,politicians and fake men of god? 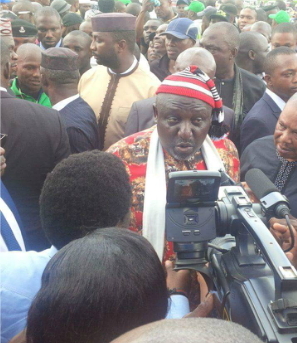 Okorocha is still on the game under section 419. ALL POLITICIANS AND THE SO CALL MEN OF GOD ARE ALL SCAMMERS…..
Why show their faces? Tomorrow okorocha will send kidnappers to kidnap them and collect the money back from them. Okorocha is a magician meaning you can not get anything from him free. He wants to be president and he will do anything to get there their. Person wey no pay salaries de make people millionaires…..ONLY IN NIGERIA! he can deceive man but he cannot deceive God. whatever he sow, he will reap, both former Abia state governor, Theodore orji, they all reap what they sow by the grace of God and Amaechi will not escape judgement of God.